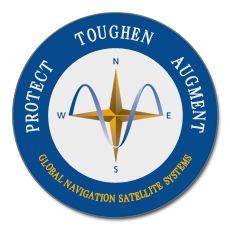 The European Union’s STRIKE3 project found over 160,000 GNSS interference events during the most recent 18 month period for which a report is available. These events were detected by sampling done in 14 different countries. Early in the project when just sampling in northern European countries, the largest number of incidents were caused by narrow band, single tone (NB ST) devices (see July 2016 scorecard). The scientists at Nottingham Scientific Ltd (NSL) who are running the project are at a loss to explain intent of the NB ST devices they have observed. None appear to be broadcasting precisely in the L1 band as might be expected. One theory is that the transmissions are from malfunctioning chirp jammers that have become “stuck” on one frequency and are no longer sweeping the spectrum across the L1 band. The most recent report (July 2017) shows that white noise, wide band (White WB) sources are the most frequent cause of incidents. NSL researchers believe that the great majority of these sources are accidental by products of other RF equipment, electrical generation and other sources normally considered “background noise.” They also point out that white noise sources rarely degrade GNSS reception. STRIKE3 classifies these as “interference events” nevertheless because there is a signal detected in the frequency that shouldn’t be there. NSL’s Dr Mark Dumville is scheduled to discuss STRIKE3’s efforts and provide more detail on their findings at the next National PNT Advisory Board meeting on the 16th of May in Baltimore, MD.